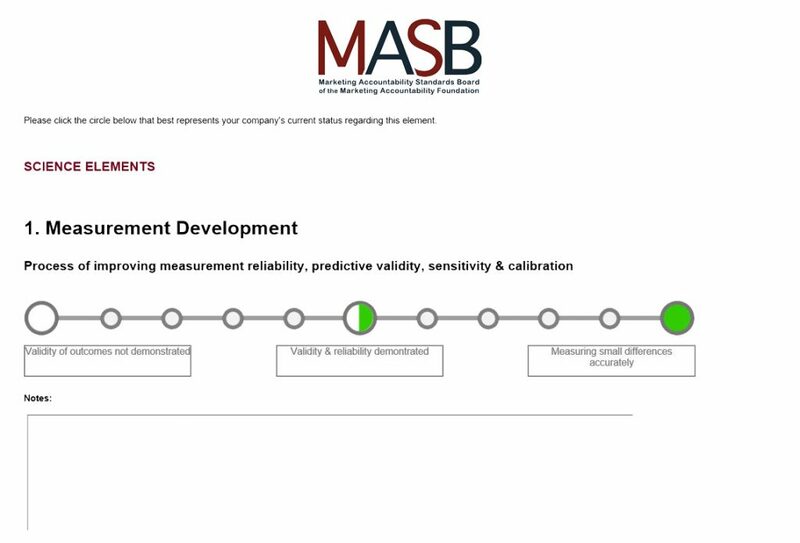 There is considerable evidence of significant improvement in financial performance when the science of measurement & process management is applied to marketing, but less evidence of continuous improvement over a longer period of time. Adding the appropriate components of “governance” to those of the “science” will result in continuous improvement, similar to how it happened with operations and product quality. Document “what is known” about the Science and the Governance required for continuous improvement in return, then create roadmap and measure/track success (revising map over time). A roadmap to Continuous Improvement in Return for all involved in the Marketing Accountability Journey. The team is conducting in-depth interviews with 15 leading practice companies, $5-75 billion companies representing food and beverage, household products, insurance, durable goods, and life sciences. Each has had a marketing science system in place for at least a year and a half that covers most of their marketing activities. Executives were drawn from Finance, Marketing, Research and Analytics. The founders/CEOs of three leading suppliers and one leading academic were also interviewed. The companies are evaluated on their progress regarding 13 criteria in two categories.